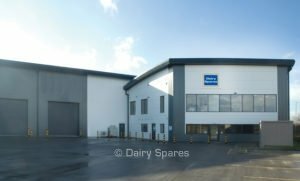 Europe’s leading supplier of alternative milking machine spares and dairy sundries for the dairy farmer. Established in 1981 in Leamington Spa, Warwickshire and relocated to its current large distribution centre in Whitchurch, Shropshire in 1999. Distribution has expanded to include the whole of the UK and many parts of Europe. In 2013 a new European distribution centre was opened in France. Customers are trade accounts only and vary from the single site business to the multi-store co-operatives. 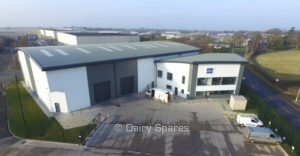 For further information contact Dairy Spares by calling +44 (0)1948 667676 or send an email to info@dairyspares.co.uk.